Free home consultation to discuss your proposal and concerns. Free advice and inspiration is given using our knowledge and experience. All Professional and Local Authority fees are explained and quoted. The Process is explained, together with estimated time scales. Prepare all Planning and / or Building Regulations applications for submission to the local authority for consideration for approval. Monitor the progress with the Local Authority to ensure smooth running of submitted applications. Amend drawings where required by Local Authority during the application Process. Recommend reliable, good quality builders and contractors for the construction. Issue Decision Notices and commencement of works on site. Liaise with builders / contractors as required during construction and offer technical assistance. Watch the Wow factor extension take shape! 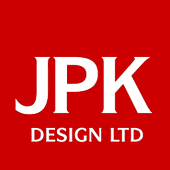 JPK Design aims to provide a full set of planning drawings for customer approval and comments within 21 days of the survey date. Please allow at least eight to ten weeks to obtain Planning and Building Regulations approvals from your Local Authority. Local Authority Full Approvals are valid for 3 years. You will not be charged any fee should we discover on our first visit that your project is not possible, our intial consultation is offered free of charge.